Across the equator, the Australian National Opera Review recently called for ‘greater levels of artistic vibrancy’ and for ‘the opera sector to be more “innovative”’. Question: Is innovation in the arts (specifically opera) a good thing? Why bother with innovation? Question: Why tour opera?Counter-question: Why limit opera to one regionally-specific audience? Every Little Helps: We make every pound go a long way, so if you’re able to make a donation to our campaign of up to £10, we’d be very grateful. Give us a Tenor: With £10 we can provide a tenor with his score, so he can learn his music in a new production which will tour the UK. In return for your tenner, we’ll create and send you a playlist of our favourite tenor opera arias. Give us a tune: Did you know that £63.69 is the average online donation made to charities in the UK? It’s also almost exactly what it costs us to tune our pianos before performances. Pledge £63.69 and the next time you come to a production at perfect pitch, that'll be thanks to you. 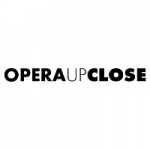 To thank you, we’ll credit you in our production programmes and website, give you 1 free year of Friend Membership to OperaUpClose AND an exclusive OperaUpClose mug! Want to do more than average? A donation of £200 enables us to deliver two free to access workshops with young people. You can even specify the area you’d like these workshops to take place, so you can treat your local school or community group. We’ll also credit you in production programmes and on our website, and give you one free year of Patron Membership to OperaUpClose AND an exclusive OperaUpClose mug! Pick your rival Queen! Sponsor either Mary, Queen of Scots or Elizabeth I and come to see a performance knowing that you’re the reason they are on stage that night. In addition to the benefits above, we will send you an exclusive rehearsal recording of ‘your’ Queen singing an aria in the new English translation, a signed libretto, two tickets to the production and invite you to meet her after the performance. Top billing: Be a principal sponsor for the new production of Maria Stuarda, and see your name on the title page of the published libretto. We will also invite you and your friends to watch a rehearsal, followed by drinks with the director and musical director, book you four ‘best seats‘ for the first preview and host a reception in your honour with the cast after the performance.